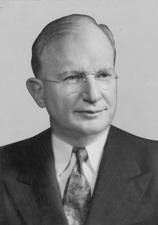 WHEELER, Burton Kendall, a Senator from Montana; born in Hudson, Middlesex County, Mass., February 27, 1882; attended the common schools; worked as a stenographer in Boston, Mass. ; graduated from the law department of the University of Michigan at Ann Arbor in 1905; admitted to the bar the same year and commenced practice in Butte, Silver Bow County, Mont. ; member, State house of representatives 1910-1912; United States district attorney for Montana 1913-1918; resumed the practice of law in Butte; unsuccessful Democratic candidate for governor of Montana in 1920; elected as a Democrat to the United States Senate in 1922 for the term ending March 3, 1929; unsuccessful candidate for Vice President of the United States in 1924 on the Progressive Party ticket; reelected to the United States Senate in 1928, 1934 and 1940 and served from March 4, 1923, to January 3, 1947; unsuccessful candidate for renomination in 1946; chairman, Committee on Indian Affairs (Seventy-third Congress), Committee on Interstate Commerce (Seventy-fourth through Seventy-ninth Congresses); resumed the practice of law; died in Washington, D.C., January 6, 1975; interment in Rock Creek Cemetery. American National Biography; Dictionary of American Biography; Anderson, John Thomas. Senator Burton K. Wheeler and United States Foreign Relations. Ph.D. dissertation, University of Virginia, 1982; Wheeler, Burton Kendall. Yankee From the West: The Candid, Turbulent Life Story of the Yankee-Born U.S. Senator from Montana. 1962. Reprint. New York: Octagon Books, 1977.